Amazon Multi-Room Music — play and control music across multiple Amazon devices. Ask Alexa to stream your favorite song, hear it throughout your home. Amazon Fire TV Stick fits perfectly in the side-facing HDMI port and can be powered by the Command Bar's powered USB port. 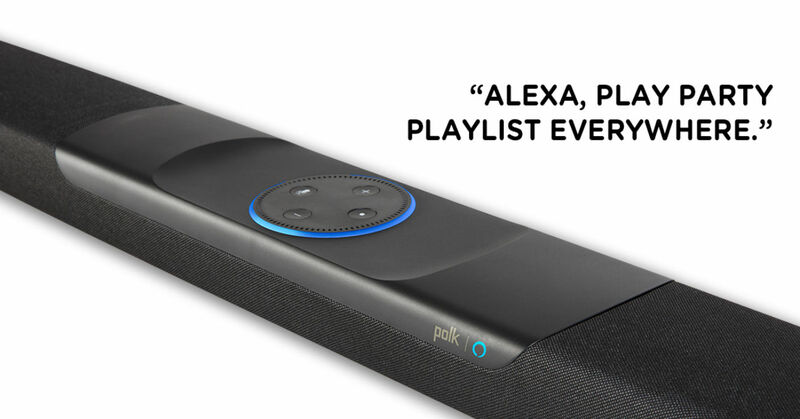 With integrated far-field microphones and Alexa voice services, use your voice to control the sound bar, smart home devices and stream music — “Just Ask.” Features patented Voice Adjust technology for crystal clear dialogue, a wireless subwoofer for deep bass and 4K compliant HDMI ports. Plus, it’s fully compatible with FireTV (*sold separately). Includes HDMI and Optical cables for quick and easy setup. Does the Command Bar do everything an Amazon Dot or Echo does? Can I use my voice and the Command Bar to control my TV or cable box? How do I set up my Polk Command Bar? Is it possible to integrate the Polk CommandBar into a Alexa Multiroom Group? When you say "Alexa", the Command Bar automatically lowers its volume letting you clearly state your command. That's because Amazon Alexa Voice Services and far-field microphones are built-in to the sound bar. And that's the difference between "Alexa Enabled" vs "Works With Alexa." Plug in the Command Bar and connect it to your TV. Then, download the Polk Connect app from the iOS or Android app stores to add the Command Bar to your Wi-Fi network, enable Alexa and get all of the latest updates. With a performance-tuned driver array, wireless subwoofer and Dolby/DTS surround sound decoding, you get an immersive, room-filling home theater experience. The sound bar's integrated far-field microphones make it easy to control master volume, set bass level, sound mode and source selection with your voice — your voice is the remote. Includes deluxe infrared remote control (IR) with integrated Alexa action button — just press the action button and the Command Bar will decrease in volume to ensure your voice commands are heard, even when you’re listening at high volumes. Works with 4K and HD TVs — plus, built-in dual HDMI 2.0a inputs ensure 4K HDR content looks great. With Amazon Multi-Room Music and the Polk Command Bar, play and control your music across multiple Amazon devices. Ask Alexa to stream your favorite song, and hear it throughout your home. 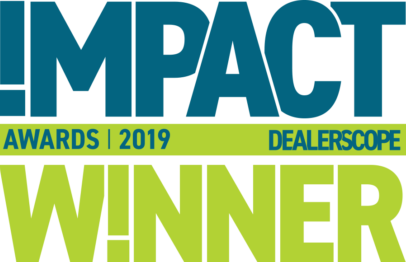 Performance-tuned driver array, wireless subwoofer and Dolby/DTS surround sound decoding deliver an immersive, room-filling home theater experience. Easily control sound bar functionality, your smart home devices, stream music and more with your voice — “Just Ask”. Automated over-the-air support updates ensure the sound bar is always learning new Alexa voice services and other sound bar features. Works with lights, fans, TVs, switches, thermostats, garage doors, sprinklers, locks, and more with compatible connected devices from Amazon, WeMo, ecobee, Philips Hue, Samsung SmartThings, and others. Control volume and mute with your Samsung, LG, Sony and Vizio TV remotes without programming (works with HDMI and Optical connections). Easily connect and stream music directly from your smartphone, tablet or other compatible device with Bluetooth. Included High-Speed HDMI and Optical cables ensure quick and easy setup and the low-profile 2” design won’t block your TV’s screen. Use these preset modes to ensure room-filling, immersive sound for all of your home entertainment. This mode optimizes the sound bar and subwoofer for quieter nighttime viewing. Designed for both tabletop and wall-mounting via built-in keyhole slots.